In his report to the 19th CPC National Congress, China’s President Xi Jinping proposed some new thoughts, new ideas and new paths for China’s economy, and laid out a set of clear goals for future development which indicate that China has entered a new era. At the same time he committed China to building a community of shared future for mankind. The dream of the Chinese people is closely connected with the dreams of the people of other countries; the Chinese dream can be realized only in a peaceful international environment and under a stable international order. China’s rapid development over the last four decades is an unquestionable achievement. At the beginning of reform and opening-up in 1978, per capita GDP in China was only 155 U.S. dollars. However, by 2016, after 38 years of rapid growth, that figure had grown to 8100 U.S. dollars, with an average annual growth rate of 9.6%. In 1978, 81% of Chinese lived in rural areas and 84% fell below the international poverty line. However, more than 700 million Chinese have been lifted out of poverty over the past 40 years; about 70% of all those raised out of poverty in the whole world come from China, indicating China’s great contribution to the cause of world poverty reduction. China’s total economy accounted for 2.3% of the world total in1978 in nominal dollar. By 2016 this figure had reached 14.9%. China’s foreign trade grew from 20.6 billion U.S. dollars in 1979 to 3.69 trillion U.S. dollars in 2016, making China the world’s leading trading power. The world economy has fallen into a development slough since the financial crisis. Even though it has also suffered, China’s economy has maintained a relatively high growth rate and helped the world economy to gain a foothold out of the crisis. China has been consistently driving growth in the world economy for several years now. China surpassed Japan to become the second largest economy in 2010, ending a GDP-ranking of the U.S. as No. 1 and Japan as No.2 since 1968. China is also the only country in the world that has not experienced systemic financial and economic crisis since the 1980s. More importantly, the Chinese government is vigorously promoting supply-side reform and accelerating the removal of overcapacity, making remarkable progress in the transformation and upgrading of enterprises. Starting from the supply and production sides, structural reform can encourage positive changes in the relationship of supply and demand by improving the quality and efficiency of the supply system and expanding effective and medium-to-high-end supply. With the rapid increase in China’s economic strength, China’s development model and experience are attracting growing attention from other countries. The world economy has undergone great changes and been confronted with various imbalances since the financial crisis. Firstly, the world economic structure is imbalanced. Although the U.S. dollar is no longer the only dominant international currency compared to the Bretton Woods era, it still dominates the world economy, and over 40% of the transactions in international trade are settled with the U.S. dollar, which accounts for almost 63% of foreign exchange reserves and 87% of foreign exchange market transactions. This situation does not reflect the latest situation in world economic development, and therefore it is detrimental to the global economic balance and potential for growth. In particular, it fails to reflect the interests of the new economies. Secondly, global infrastructure is imbalanced. In contrast to the developed countries, infrastructure in severely lacking in the vast majority of developing countries, which not only hinders the development of their own economic potential but also drags the recovery of the global economy. Nevertheless, we should also be aware that this is mostly caused by the harsh restrictions the international financial institutions impose on their investments in these areas. Finally, sustainable global economic development in different regions is also imbalanced. Due to the imbalanced development of the world economy, the economic structure of some countries is tied to environmental destruction, destabilizing the foundations of human civilization. Sustainable development depends on technology innovation, but for the vast number of developing countries, especially African countries, technological innovation is hampered by shortages of talent and capital, so that it is more difficult to achieve green development. China has accumulated rich experience concerning all the above issues. The Western model of development is no longer the only one favored by all the countries, and more and more people are casting their eye towards the East. Therefore, the Chinese leaders proposed the development of a common future shared by all in contrast to the current international situation. 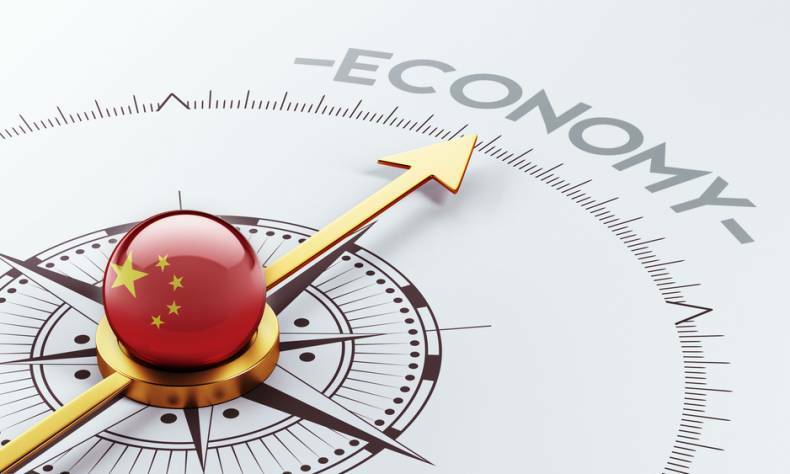 This derives from a summary of the profound experience of China’s economy through 40 years of rapid development, and from a new viewpoint and new plan proposed for the development of a new international order, conforming to the expectations of the international community. One of China’s conclusions is that the people’s interests should always be placed before everything else. In this 19th CPC National Congress report, President Xi sets forth a new goal that we will realize basic modernization by 2035, 15 years ahead of the previous planned goal. By 2050, the 100th anniversary of the founding of PRC, through socialist modernization and realizing the Chinese dream of national rejuvenation, we will develop China into a great modern socialist country that is prosperous, strong, democratic, culturally advanced, harmonious, and beautiful. To solve the problems confronting the world at this moment, we must first solve the current imbalance in development between countries. At present, a trend has been evolving towards anti-globalization and conservatism, mainly provoked by the fact that globalization is being driven by transnational corporations, which is not beneficial to all and is even causing some to lose more than they gain. This is not caused by a fundamental flaw in globalization, but by a deviation from the sound development model. The most important thing for us now is to reset the correct course. Building a community of shared future for all, as proposed by General Secretary Xi, is undoubtedly key to solving this problem. The Belt and Road Initiative is a concrete plan to develop a shared future for all. Since the day it was first proposed, this initiative has been widely welcomed by countries around the world and achieved remarkable successes. The Belt and Road Initiative has taken a positive step in tying its effort to the “Juncker Plan” by Europe, the “Path of Light” by Kazakhstan, the “Eurasian Economic Union” by Russia, the “Global Maritime Fulcrum” by Indonesia, the “Project Mausam” by India, the “Eurasian Initiative” by South Korea, and other countries’ developmental strategies. It has become a leading strategy for bilateral and multilateral cooperation. In the year since it first opened its doors, the AIIB has provided 1.7 billion U.S. dollars in loans to nine projects in seven developing countries in Asia. The Silk Road Fund has participated in investment and financing for major national projects in Pakistan, Kazakhstan, Russia, United Arab Emirates, Egypt, Italy and other countries. China has provided more than 100 billion U.S. dollars in various multilateral or bilateral capacity cooperation funds. China Development Bank, the Export-Import Bank of China and 11 China-funded commercial banks have provided hundreds of billions of dollars of credit financing and set up nearly one hundred primary branches for countries alongside the routes, . As the world’s largest developing country, China’s development challenges are still heavy and it will inevitably face various difficulties and dangers along the way. However, the development problems encountered by China are the same problems encountered by other countries, especially the vast majority of developing countries, and they can learn from China’s experience. The concept of a community of shared future for mankind proposed by China’s President Xi not only conforms to China’s own development, it also complies with the development needs of other countries. At the same time, it has not only learned experiences of western modernization, but has also adapted and surpassed them, thus providing the future of global development and global governance with an alternative solution.